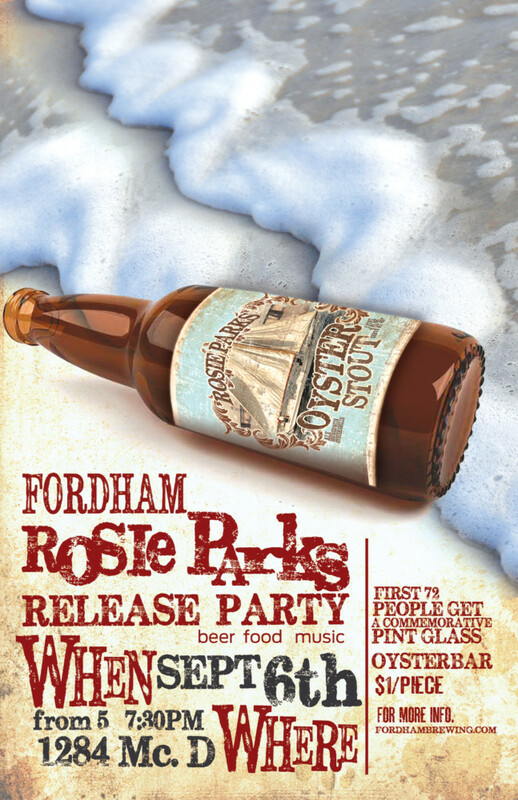 Fordham Brewing is hosting a release party at the Brewery on September 6, 2013, from 5-7:30pm to benefit the Chesapeake Bay Maritime Museum. Last year, Fordham partnered with the Chesapeake Bay Maritime Museum to brew Rosie Parks Oyster Stout, a beer that included Chesapeake Bay oysters in the boiling process. The legendary skipjack Rosie Parks once dredged for oysters on the Chesapeake Bay and is now undergoing restoration at the Chesapeake Bay Maritime Museum. The Brewery is located at 1284 McD Dr. Dover, Delaware 19901. The $5 admission to the event includes five samples of oyster stout and other beers, as well as a commemorative pint glass for the first 72 attendees. “Key West” will play beginning at 5pm and raw oysters will be available at a cash bar.